The Camping Riviera Village is nestled in the verdant coast of the Conero Riviera. The village forms a natural balcony offering panoramic views of the beaches of the most beautiful Riviera in the Marche Region. The campsite is located in a strategic position, ideal for discovering the Monte Conero territory. The Conero Riviera is rich in suggestive places of remarkable natural, historic and artistic locations. The coast is dotted with strategic and panoramic spots from which the so-called "marine" centers are selected, all nearby and easy to visit. The scenery that can be admired from the top of the park he is definitely one of rare beauty that offers breathtaking views and natural landscapes of wonderful colors. Trails for walking or biking are directly overlooking the sea. A unique and wonderful experience for adults and children. Sports lovers will be thrilled to know and try out the many sports activities that our area allows to practice: mountain biking, hiking, horseback riding, sailing, water skiing, windsurfing and kitesurfing. Birthplace of the famous Italian poet Giacomo Leopardi. 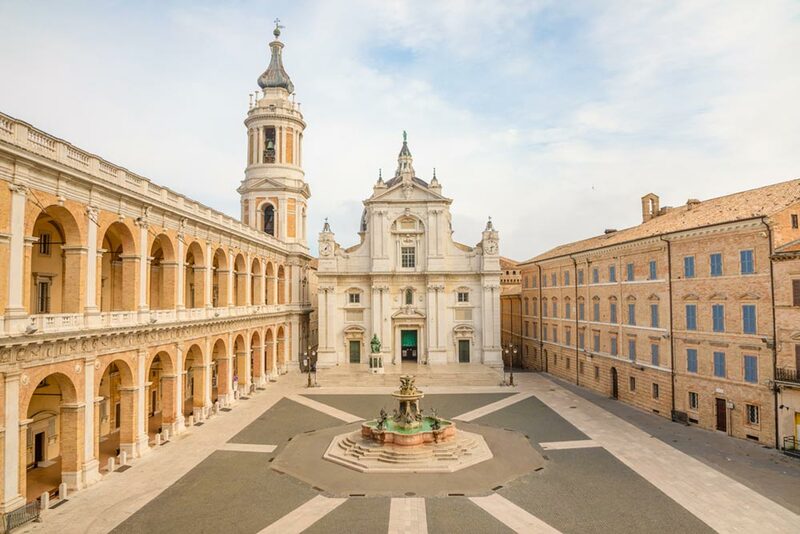 This lovely town in the Province of Macerata attracts every year many visitors curious to know and visit the places that have seen the birth and growth of our famous poet. 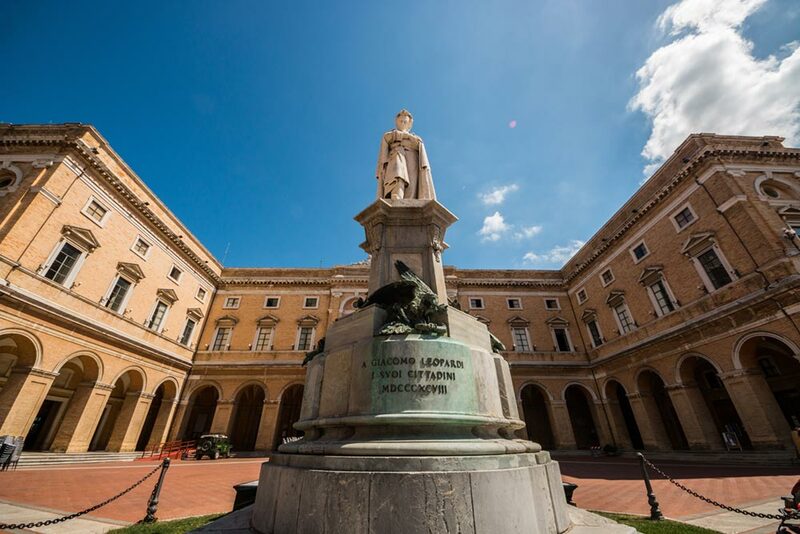 You can visit the palace where Leopardi was born and the library where for so many hours a day he studied continuously. A fascinating journey through history that will involve adults and children. 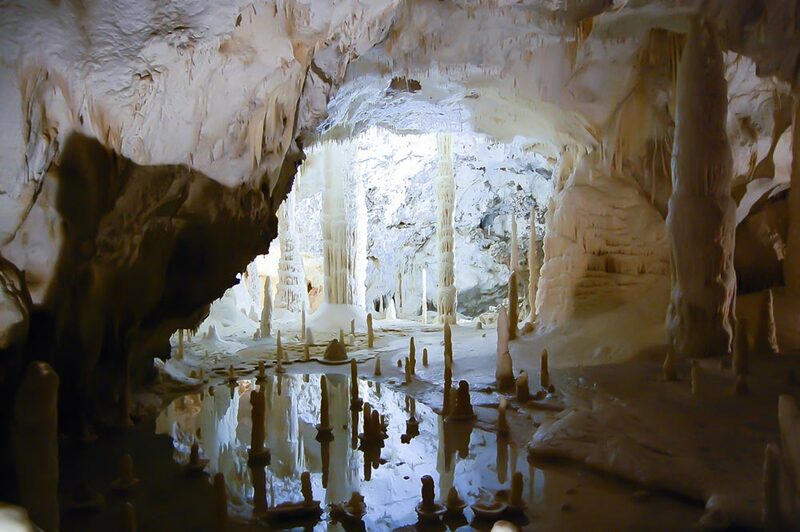 The Frasassi Caves are underground karst caves located inside the Natural Park of Golla della Rossa and Frasassi. The natural site attracts many visitors every year. The tour is suitable for both children and adults. The biggest attraction is the so-called “Ancona Abyss" cave, one of the deepest underground caves in Europe and perhaps in the world. The beach of the Two Sisters is accessible by sea along the coast, or on foot through the Passo del Lupo (more suitable for equipped hikers). The sea is lovely in every season, but in the summer it shines all colors, from light green and emerald to more intense cobalt. The beach is very white, the fishing grounds are rich with shellfish, and it has nothing to envy exotic and famous beaches in the open ocean. Books, limestone cliffs similar to pages in a book to read, identify the tip of the Conero near the rocks of the Two Sisters. The Cave of Slaves,which collapsed in the early last century, was opening out onto the sea not far from the Two Sisters towards Portonovo. Inside, the beautiful and deep natural cave had a second entrance with a small beach sheltering sailors during storms. Today, it survives in the memories and legends related to pirates. It seems that Saracen corsairs there held treasures and slaves awaiting ransom. Mirrors (the Gulls plates), high and steep walls overlooking the sea are smooth and shiny as mirrors. Many know that, seen from the sea, the rocks of the Two Sisters under the Conero have the appearance of two nuns with clasped hands in prayer addressed to the coast. These rocks were once connected to the ground, then the action of the sea has isolated them. Very few people know that all the rocks of the coast, from Numana to Portonovo, had a name.. They served to fishermen to determine around which rocks to fish, an indispensable reference for some types of fishing until the middle of last century. With the names of "Ada" and "Annunciation", my uncle, old fisherman from Numana at the same time as my grandfather, called the rocks of the Two Sisters to direct the crew in fishing. Although there is no ancient legend written about the Two Sisters, there are tales of old fishermen like those of my father, told to tourists during excursions on his fishing boat at a time of Conero. Magical tales of indistinct boundaries between history and legend, in close link with the territory, a fantastic invitation, full of mystery, to discover the places to which they were deeply attached..
Those tales told the stories of two young beautiful sisters, who, bravely defying the storm, went in search of a fisherman lost at sea during a fishing trip. Both were madly in love with the man, but fate would have it, they did not return. Quando la tempesta si placò, sotto il monte era comparsa una nuova spiaggia bianca, di una bellezza abbagliante, dove l’uomo venne rinvenuto miracolosamente salvo. When the storm subsided, below the mountain a new white beach appeared, of a dazzling beauty, where the man was found miraculously rescued. The rocks created a natural protection from the storm with the appearance of two women in prayer turned to the white beach. From then on, the beach and the rocks of the Two Sisters have been a symbol of beauty and love.